Snapped at a street fair yesterday. 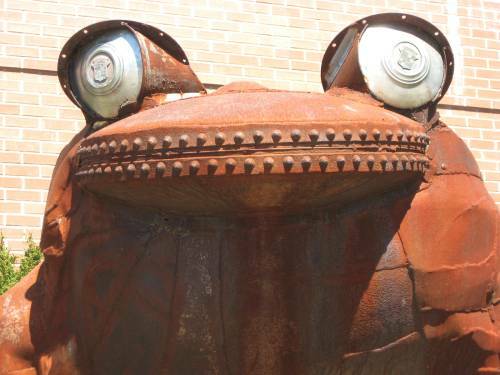 In front of a branch library, this 12 foot high frog, made from reclaimed steel, with hubcaps for eyes was created by a a local artist P.R. Miller. Everything he creates is reclaimed from scrap metals, plastics and anything that would last 1000 years in a dump. His passion is to save the environment. The story is, his father was a junk man and his mother was an art teacher. 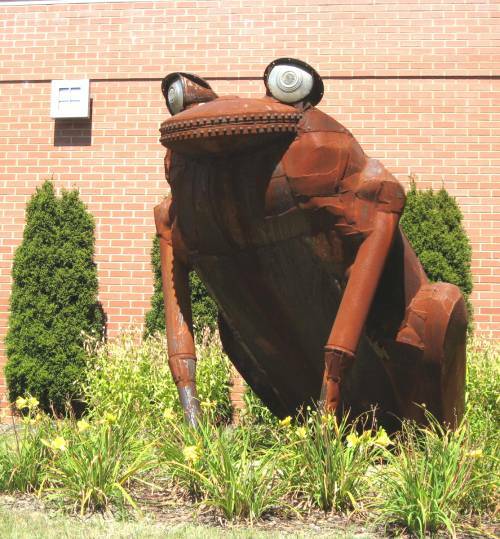 He grew up in Mars Pa. His work is sprinkled throughout the city for all to enjoy. WOW…That is one amazing frog…love his big beautiful eyes..